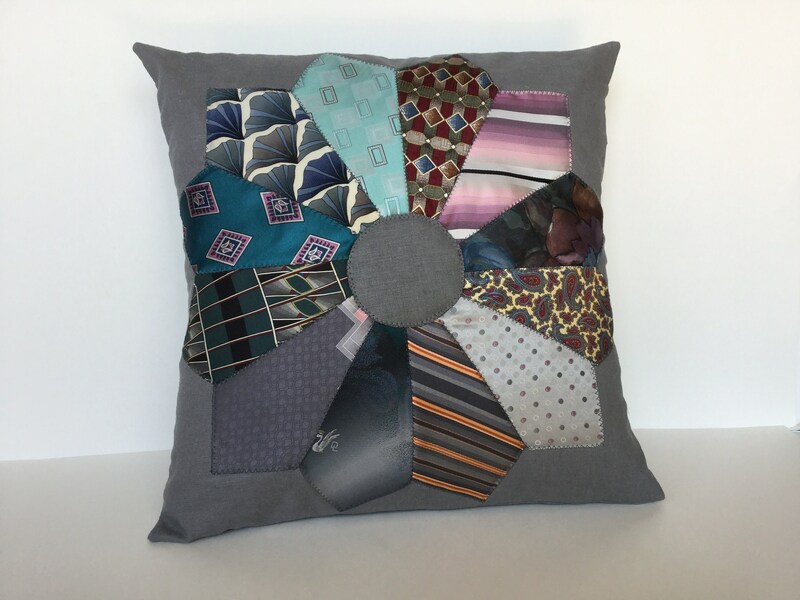 This listing is for a custom order for a necktie pillow, made especially for you to your specifications. You can tell me the color of the background, and whether you’d like to send me ties or have me provide them. If a love one has passed away, a necktie pillow would be a lovely gift for his wife, or each of his children. It also makes a great birthday or Father's Day gift, or something new for the boss at work. I use a small part of the wide end of the tie, and the pillow requires 12 ties. Remove the pillow form and dry-clean when necessary. If the pillow becomes flattened with use over time, open the pillow form and add polyester fiberfill, or replace the pillow form. Amazing job! This pillow brought tears to our eyes. Gorgeous! I asked for a custom closure and seller was happy to provide. Item looks great and got here quick. Thanks Anna of Ceaseless Praise! !